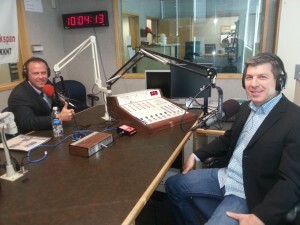 Please tune in to the Patriot Radio AM 960 this Saturday between 2 and 3 PM. 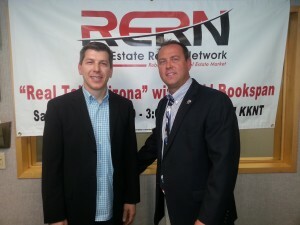 Troy Reeves will be the featured speaker on Todd Bookspan’s Real Talk. Troy will be discussing the real estate market and changes we can expect in the future of the industry. From the very beginning, Troy began to shape his business pursuing unique and inventive marketing ideas to increase his name recognition and improve business. The Reeves Team has built a reputation not just on promises, but on guarantees. Based on their commitment to world class service, they guarantee a return phone call within one hour. In addition, many of their clients have been thrilled to have their home sold under the Reeves Team’s 90 day sales guarantee. Will you be tuning in to hear Troy Reeves on Real Talk? Once you have heard it let us know what you thought in the comment section below. 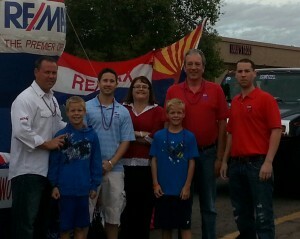 Another year, another successful Gilbert Days Parade. RE/MAX Alliance Group and The Reeves Team have been a part of this great tradition since 1994. This year was one of the best parades yet. Though it was early on a Saturday morning, and the conditions were a little overcast, this didn’t dampen any of the parade goers enthusiasm. 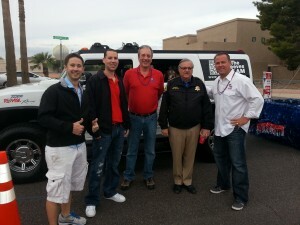 Sheriff Joe Arpio dropped in to say hello to The Reeves Team, and asked to take a few pictures with us in front of the famous RE/MAX Hummers. Love him or hate him, its great to have him as a fan of the team. 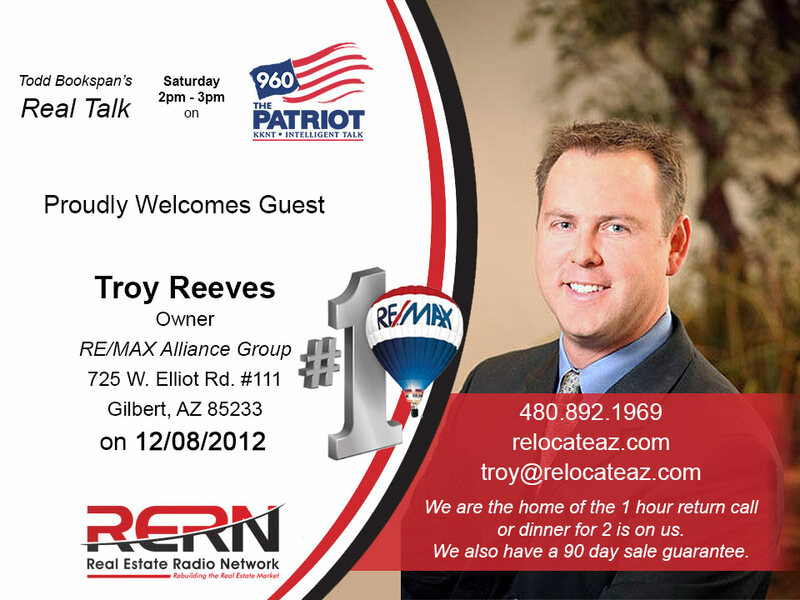 Troy Reeves has been a sponsor of the Gilbert days parade for nearly 2 decades. As one of the first floats to open the parade, Troy and The RE/MAX Balloon crew had plenty of time to set up and check out the rest of the parade from the sky. This was one of the biggest parades we have ever been a part of. 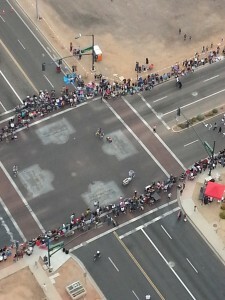 This is a view from the balloon as Troy and the RE/MAX Balloon Crew hovered over the second half of the parade. 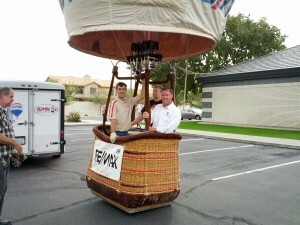 It is a testament to the RE/MAX brand how many people know and love the RE/MAX Balloon. 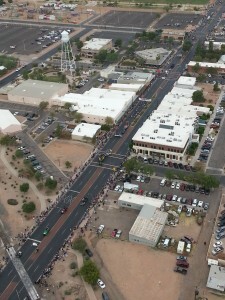 We would like to thank the Town Of Gilbert and all of the others who sponsored and participated in the parade. We are honored to live and work in the town of Gilbert. Were you able to attend the ceremonies this year? If you weren’t able to catch the parade did you make it out to the Rodeo? Let us know what you thought of the event in the comment section below.